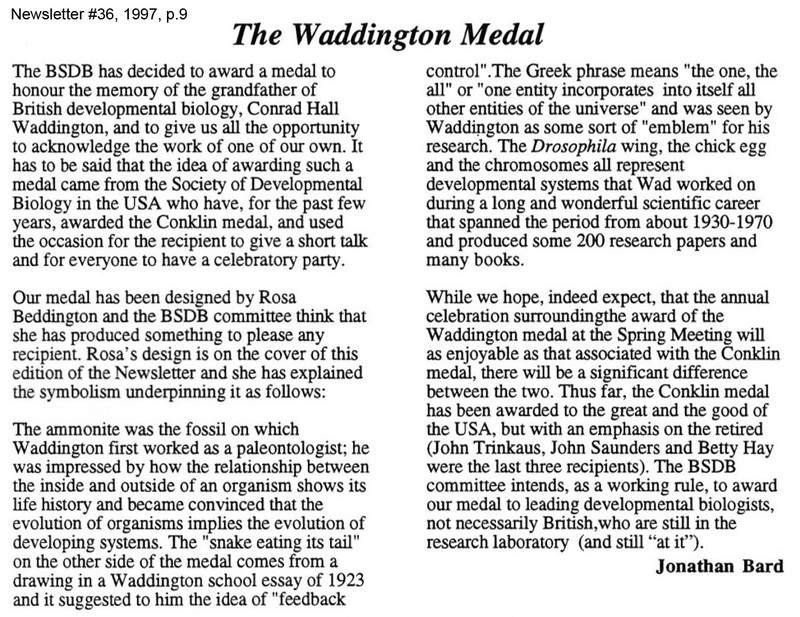 The Waddington Medal, the only national award in developmental biology, is awarded for outstanding research performance as well as services to the subject community. The medal is awarded annually at the BSDB Spring Meeting, where the recipient presents the Waddington Medal Lecture. The medal was announced in 1997 [letter #36] and first awarded in 1998 (see below). BSDB members are invited to nominate suitable candidates. 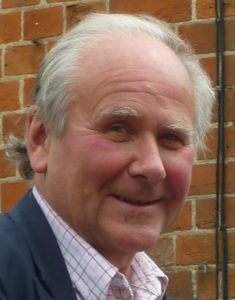 The BSDB is delighted to announce Richard Lavenham Gardner, Kt, MA, PhD, ScD, FIAT(Hon), FRSB, FRS, currently Associate at the University of Oxford and Emeritus Student of Christ Church (Oxford), as the 2018 winner of the Waddington Medal. Richard was awarded for his outstanding work in the field of early embryogenesis and stem cells, as well as continued contributions to the development of our field and the shaping of science policy in the UK. Richard is well known as a pioneer in the study of early mammalian development, having made many hugely important discoveries relating to the fate of cells in early mammalian development and the properties of stem cells derived from early embryos. These achievements were made possible by his strong knack for identifying important questions and addressing them in innovative and at the same time definitive ways, always with extremely elegant experimental design. He has always been a committed member of the Developmental Biology community who contributed notably also in policy making relating to ethical issues connected with access and use of human embryos in research, ethical aspects of cloning, and ethical use of animals in research. Richard’s enormous influence is also reflected in the fact that he was mentor to many illustrious embryologists. For more details of Richard’s career and work, please visit this blog post. An interview with Richard will be published in Development, and his award lecture can be watched on our YouTube channel. Look up the Waddington Medal on Wikipedia for more information. Nominees should be outstanding developmental biologists who have made a significant contribution to UK developmental biology and who are still currently active in the field. Examples of significant contribution to UK developmental biology include: activity in the community, mentoring UK developmental biologists, and contributing to a significant textbook or other aspect of teaching and/or training. 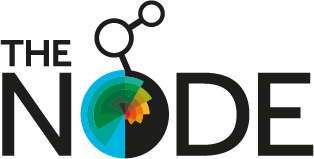 Formal nominations should be made to the BSDB Secretary (secretary@bsdb.org) by the closing deadline each year, but can be received at any time. Nominations should consist of a statement of support (maximum 1 page A4) from a Proposer and Seconder (both BSDB members), stating why the candidate is suitable for the Medal, giving a brief summary of his/her career history and listing five key publications. All nominations received will be considered, and voted upon, by the Committee at the end of July each year. The winner will be invited to present the Waddington Medal lecture at the following BSDB Spring Meeting, where the medal will be presented by the Chairman.